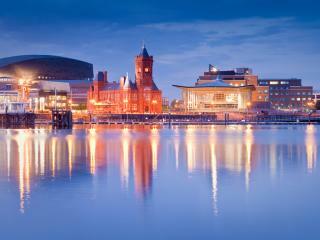 The Cardiff International Airport has regular direct flights from UK and European destinations. 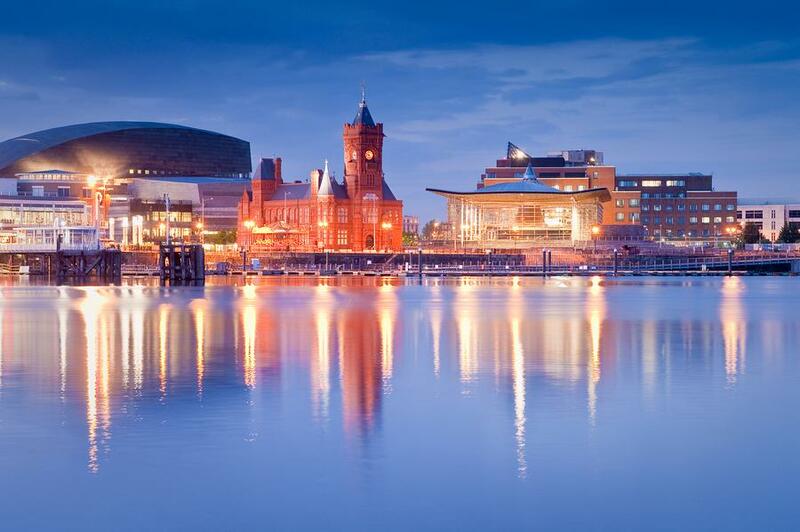 Those who prefer to travel via London's Airports are able to continue their journey to Cardiff by high-speed InterCity train or coach. Cardiff is right on the national motorway system. The M4 runs through the north of the city, making London a comfortable drive away. From the Midlands, the North of England and Scotland it is a straightforward drive via the M6, M5 and M50/M4. From the South and South West of England the approach is by M5 and M4. Access from West Wales is by M4. High-speed InterCity trains link most cities with Cardiff. The journey time from London Paddington to Cardiff is under two hours and leaves every 30 minutes. Regional railways operate modern trains direct to Cardiff from Birmingham, Manchester, Liverpool, Nottingham, Bristol, Southampton, Exeter, Torbay and Portsmouth. Cardiff is compact enough to negotiate almost entirely on foot, as even the bay is within thirty minutes’ stroll of Central Station. If you prefer the comfort of a bus tour, the City Sightseeing Bus is a great way to explore the city centre and bay. The bus stops at major attractions and you can hop on and hop off when you like. Information and passes are available from the counter next to the tourist office on Wood Street. There is a water taxi service which operates from the Bay to the city centre and Penarth.